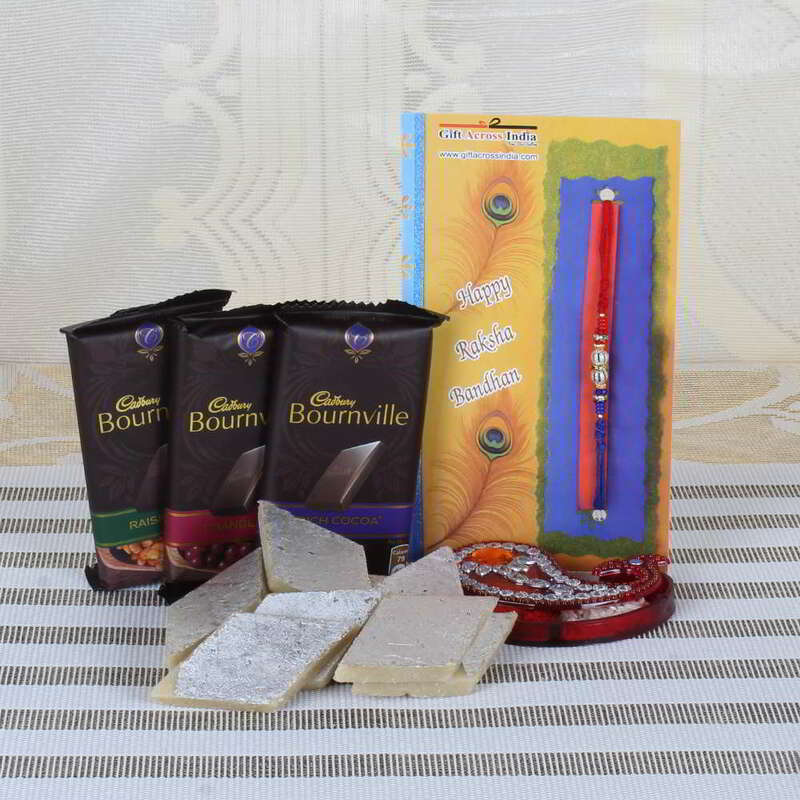 Product Consist: Kaju Katli (Weight: 200 gms), 3 Bars of Bournville Chocolate (Weight: 31 Gms Each ) and Designer Rakhi along with Roli Chawal Container. 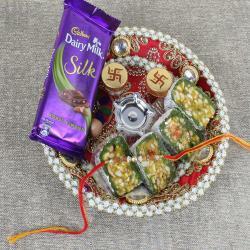 This wonderful Chocolate and Sweets rakhi gift hamper will grab a special attention of your beloved brother so have a quick look on it and order online through Giftacrossindia.com. 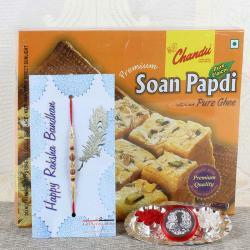 Wish your brother on this Raksha bandhan with love and compassion for being the best brother ever with this Rakhi combo. Grant him your blessings and celebrate the wonderful bond which you have shared. We all have beautiful memories of how we grew up as brothers and sisters. 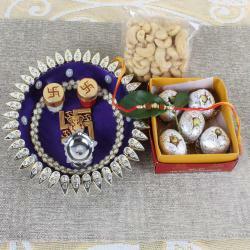 Rakhi thread is the important part of the entire celebration of Raksha Bandhan so it needs to be elegant for your special brother. 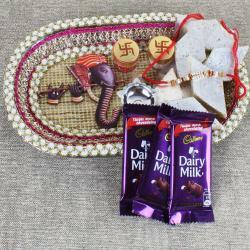 Product Includes: Kaju Katli (Weight: 200 gms), 3 Bars of Bournville Chocolate (Weight: 31 Gms Each ) and Designer Rakhi along with Roli Chawal Container.